Secretary of State Rex Tillerson backpedaled yesterday on alleged US plans to create a Kurdish border force along Syria’s northern border with Turkey, saying that the US would not do any such thing. Tillerson added that the US plans to maintain a military force inside Syria even after Daesh is defeated. Brian Becker and John Kiriakou, co-hosts of Sputnik Radio's Loud & Clear, spoke to Peter Ford, who served as the British ambassador to Syria from 2003 to 2006 and is now a fervid supporter of the government of Bashar al-Assad and frequent critic of the British support for anti-Assad rebel groups. 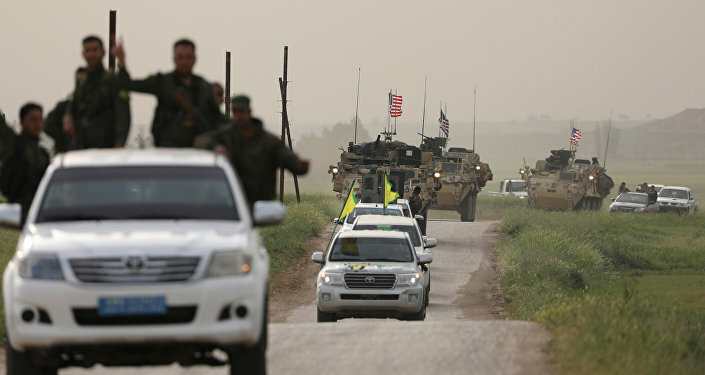 ​"I suspect what's happening is it's being realized in the State Department that they need a different rationale for the presence of US advisors and other forces in those Kurdish-controlled areas now that Daesh is 99 percent eradicated. Some bright spot came up with the idea of saying that the US is taking this force of the Kurdish militia that the US has been supporting and rebranding them as border guards — isn't that brilliant?" "But they forgot to account for the Turks," Ford pointed out. Becker and Kiriakou brought up a strange incident where Tillerson told reporters at Rice University that the US was not creating a border defense force out of the Kurdish militia and that the situation had been misreported. A reporter then asked if Tillerson was only saying that because of the vitriolic response that the alleged program drew from Turkey. Tillerson dodged the question. "It is absolutely weird," Ford agreed. "I almost feel sorry for Tillerson. The guy can't be all that bad. He called [US President Donald] Trump a moron, he's the good guy relatively. He's got a difficult job to keep ‘The Donald' in check." 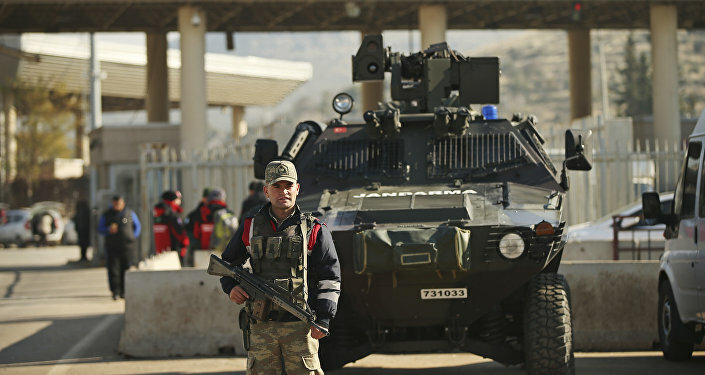 Becker pointed out that the US and Turkey have a strong security relationship on paper, as both are crucial members of NATO. A clash between the two is intra-NATO friction, which would explain why Tillerson was so quick to try to smooth the situation over. However, this begs the question of why the White House ever proposed the "border security force" in the first place. Ford chalked it up to Washington factionalism. "I believe the administration is not united, the administration is fragmented as much as Syria. There are divided councils between the Pentagon and State Department and the White House, general confusion around as a result. I think Tillerson ‘s speech betrays the existence of these internal differences." "I suspect the policy came from the Pentagon, maybe Trump bought it off [US Defense Secretary James] Mattis on his advice. The Pentagon are the hardliners who really want to partition Syria and keep the region destabilized, perhaps created a Kurdish and US-dominated state and in that northern corner." "I suspect that the White House and State [Department] are thinking a little bit more deeply, a little bit more long-term. Listen to Tillerson's speech: he articulates some kind of vision of the way forward. Even if it actually nonsensical, at least it shows some traces of reason." Kiriakou described the situation as the danger of the power of the US military in Washington, leaving Tillerson and the State Department to act as a counterbalance to the Pentagon. The conversation then turned to the legality of the US presence in Syria — or the lack thereof, under international law. "Only a mandate from the United Nations Security Council could trump the will of the sovereign member of the United Nations," Ford explained. "That is obviously not the case in Syria. There's absolutely no mandate from the United Nations. There's no two ways around it: the US presence is a total act of international illegality." "But at the end of the day, what matters is might makes right in the international jungle. The Tillerson speech just doesn't even make any attempt to justify US plans to stay in Syria on any legal basis, because might is right."